Q: Square Foot Gardening Strawberries? Hi. I only started to learn growing strawberry beginning this spring. I was lucky to find your website since you have very good information on this subject. In your September activity list, you mentioned to thin the plants to 4 per square foot. But I have read from many source to set the plants 12″ apart in rows spread 18″ apart. My question is: can I grow 4 plants in one square foot. This spring, I planted 1 plant on each square foot. If I could plant 4 plants per square foot, it will be great. I will change the planting spacing when it becomes possible next time. Pls let me know the best spacing for strawberries. 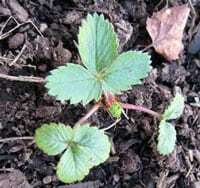 Answer to: Square Foot Gardening Strawberries? Thanks for stopping by Strawberry Plants .org! When you purchase plants (or transplant them) and initially set them out, you definitely want to space them far enough apart in rows or another planting system (see the Growing Strawberries page for more on this). The goal, however, when using the matted row system is to allow the runner plants to fill in the rows to maximize the use of the growing space. But, the rows can become TOO “matted” and need to be tended, cut back, or renovated. For me, I hate having to destroy the plants, so I usually give away my extras. Leaving four strawberry plants per square foot is the maximum you should leave within a matted row. Any more and you will likely see a drop-off year-to-year in your yield as the strawberry plants become too thick and choke each other out. I hope that helps! tks for your reply. I forgot to mention that I planted the strawberry plants on my 2 feet tall raised bed. The size is 4′x 4′. As I said in the earlier email that I planted 1 plant per square foot. The 4 x 4 bed looks full now even with 1 planted per sf. You really think I could plant 4 per sf? Will it be overcrowded? I intend to start another 4′ x 4′ raised bed next January ( I live in bay area, California). Therefore I need your advice so I may plant the correct quantity per sf. Generally, when you start a new bed, 1 plant per planned square foot is all you need to purchase. In year two you will begin to reap significant harvest, and the runners from June-bearing plants will fill in the rest of the square footage by the second year. Strawberry plants don’t have enormous root systems like some plants do, and one square foot of appropriate soil can usually provide sustenance for four healthy strawberry plants without too much difficulty. In fact, my square foot garden easily supported 6 plants per square foot. Those plants provided me with big, healthy berries for multiple years. Thinking of it this way might help: plant 1 strawberry plant per square foot but leave 4 strawberry plants per square foot for subsequent years. I hope that helps! Hi, Mr. Strawberry: I am a little bit slow in farming since I never grew anything in my life before. Strawberry plants are my very first one to try. My grandson (I am 66 years old now) begged me for it since he loves strawberry so much I started to think his last life must be a strawberry. On year one, I shall plant with just 1 plant per sf. So when planting, I shall plant at one corner of the sf and leave all other corner & center space empty for future 4 runners to grow in. I shall cut off all runners in the first year doesn’t matter what type I planted. So at the end of first year I still only have 1 plant per sf. In year 2, I shall allow 4 runners per sf to root in those reserved space. So at the end of 2nd year, I shall have 5 plants per sf. Do I read you correctly? I appreciate your patience with me and my grandson thanks you also. He kept complaining too little strawberries this year. If you have a 4×4 foot garden plot, plant one strawberry plant in the center of each square foot during the very early spring. Pinch or cut all the strawberry flowers off of the plants in year one, but allow the strawberry runners to grow and root within the 4×4 feet of garden. At the end of the growing season, thin the runner plants IF they are too crowded. 4 to 6 plants per square foot (on average – most things don’t have to be exact in the world of gardening) is a good target. Over-winter the strawberry plants (see the Growing Strawberries page for help). The following spring, enjoy lots of sweet strawberries. You should reap a harvest from both the initial plants and the cloned plants they sent forth via runner. I have purchased 4 June Bearing plantings and 8 ever bearing type late this spring to occupy 12 sf. I have also planted 1 sage, 2 marigolds and 1 borage to occupy 4 leftover squares. I have pinched off all runners as late as yesterday, but I have only pinched off all flowers for both bype for 6 weeks after planting them. Therefore as of today, I have no runners in my plot. My another queston is I have used 4 sf for companion planting. I felt I wasted too much space. Did I use too much space? (I don’t even know if they are all annuals or not?) How will you re-design the space I have so I can plant more strawberries yet still having some protection against pests? Can I remove all these 4 companion plantings into a large, seperate pot near the strawberry plot? If the answer is yes, then how close this pot needs to be? Again, both my grandson and I thank you for your help. I have rooted 5 or 6 runners today. I also wanted to prune all my June-bearing strawberry plants. My question is do I have to wait till the runners are established into their new location before I can cut off all leaves to 1″ above the crowns? I also need to know how do I know the runners are really established into their locations so I can cut off from the mother plant. The best resource for square foot gardening is Mel Bartholomew’s All New Square Foot Gardening book. I read and implemented the first edition with great success, and I think the second edition will give you a great source for square foot gardening information. 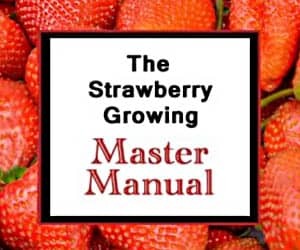 As for pruning your strawberry plants, yes, you need to wait until the plants are established. The easiest way to be sure that the runner plants are established is to wait until the stolon itself (the actual runner between the two plants) begins to brown and shrivel. At that point, you can be absolutely sure that the runner plant has established itself as an independent plant. Then, you can go ahead and sever the runner so that the plants are physically separated. General comment – I had a potato crop failure last year using commercial straw mulch. Leaves curled up from the sides and lengthwise while plants were stunted. Internet research turned up the fact that there are some new persistant herbicides that are used on grain, hay, pastures, and residentially. There are three that are particularly long lived – up to three years. They will pass through cattle and horses unchanged. The UK reports thousands of damaged farms. It is highly unlikely any supplier will know if these herbicides have been used on straw or hay you are buying. There are lab tests (expensive) or a test can be run by growing peas which are particularly sensitive. Do your own internet research and take the action you deem best for your situation. Thank you for all the good data available here! I’ve learned a lot about strawberries by reading your information. I do have a couple questions about growing strawberries in vertical planters like in the picture on [link]. Clearly there is not a whole lot of root space. Would the plants eventually kill each other over time as they fill in? Would I just tend to these plants the same as if they were planted in the ground? Any other advice or thoughts on these planters? Root space can be a problem in those vertical planters. Increasing the diameters of the pipes can help, but getting the right ratio of water dispersion from the central pipe can be tricky. If there is not enough, the roots struggle to get enough moisture. If there is too much, or if it doesn’t drain properly, fungal infection can wipe out the whole planting. There is less overall maintenance during the growing season as the PVC or other material does a great job at suppressing weeds, and the vertical nature of the planters make picking the strawberries a whole lot easier on your back. However, it is very difficult to keep strawberries in planters like these alive in colder regions during the winter months. the greater surface area exacerbates cold injury to the plants, and freezing temperatures can kill the whole planting just as easily as the fungal problems can. Overall, the vertical planters typically do well for the first year with smaller plants, mild temperatures, and low/no fungal issues. After year one, however, the vertical planters typically fail to produce at a significant rate, if the plants actually survive the winter. If you want to try it out, the projects can be fun to do. And, you will likely get a few strawberries from the plants you insert in the holes. Many times, however, if you are looking to make a perennial investment, they under-perform. If you do decide to give it a go, let us know how it goes for you! Good luck! Yes, it sounds like you are on the right track! I would expect you to get a harvest next spring. Good luck! I’d also add that in June-July (UK) many gardeners are pruning back runners and throwing them away. Might be worth checking out facebook groups etc and maybe making a wee post that you’re looking for plants. Doing it that way will also mean you can accelerate towards more plants earlier instead of having to propagate your own. I started with 13 plants. I now have about a hundred and I’ve not bought one since my starters. Mine are just scattered wherever they decided to run but I’m moving to a micro runrig over the next three years. Can I plant a strawberry plant inside the hole of a standard cinder block? Yes, you can! Those type of planters can be quite unique. Good luck! I just finished a raised strawberry garden (42″ high”. I used a shipping pallet on 4×4 legs. Filled with garden soil and water retaining crystals. I put the bare-root plants in this morning, and sprouts have appeared this evening already. Using the shipping pallet (coated with polyurethane) really simplified the process. I hope it works. 48 plants in an 3×4 area. Thanks for sharing. That sounds like a good idea! Keep us posted on your results, and good luck!